Ever since the creation of the State in 1976, no one has attempted to change the face of the history of our State than through the recent release issued by one Hon. Sharafadeen Ogunwoolu, the self acclaimed Chief Executive of an unknown political Academy in Abeokuta, Ogun State who claimed to be the custodian of the Archive of one Late LAK Ogunwoolu, a Chieftain of the defunct Unity Party of Nigeria. The said release was politically motivated to cause disaffection among the federating units of the State, discredit the genuine agitation of the People of Ogun West to produce the next Governor of Ogun State in 2019 by enacting a theoretical argument base for Provincial rotation of Governorship position instead of the existing Divisional and Senatorial arrangement that had produced all the four Governors of the State since 1979. It had therefore become necessary to issue this rejoinder to correct the wrong impression created by the malicious and fallacious contents of the release already circulating on the social media and in some print media. I have therefore through this medium serialized the issues raised in the unhealthy publication and offer the correct explanations in order to set the records straight from the available accurate perspective of the State political history. Hon Ogunwoolu in the above narration told the story of the creation of Ogun State as emerging from the two Provinces of Ijebu and Abeokuta. While this historical account was true it was clear that he told his stories in such an uncoordinated manner and within few lines left rooms for some probing questions which revealed his clandestine and real intention of misinforming his reading audience for selfish cravings. Now that he had laid bare his facts before the public, we shall stand on the bar of history to expose his self serving antiquated narrations in order to return the shafts therein into the cabbage can where they rightly belong. Let me remind the author that as a secondary source story teller, Hon. Ogunwoolu’s account cannot be totally relied upon in the real sense of historiography as most of his claims had been subjectively editorialized and full of verbosities. Our first challenge will be to ask Hon Ogunwolu the list of Political leaders from the two provinces who met to determine how power will be shared in the new State as stated thus “the issue of Capital had been resolved, but Egba Province should put this into consideration and allow Ijebu to produce the 1st Civilian Governor of Ogun State. It was there both leaders of the two Provinces agreed on four (4) years term per Province and when Ijebu Province produces Governor the Egba/Abeokuta Province will produce Deputy Governor”. Hon Ogunwoolu would need to further dig into the Archive of Pa L.A.K Oguwoolu, his primary source, to fetch out the memorandum of understanding signed at such meeting in order to convince every discerning mind that the meeting actually took place and what decisions were reached and who are those Political leaders (including representatives of the Egbados) who assented to the decisions thus making it binding on the present state of affairs of the State till date as a working principle for power sharing. 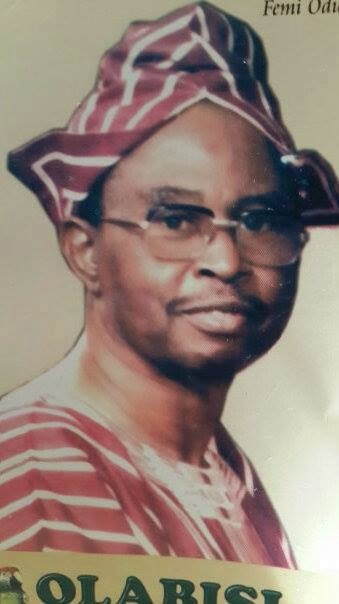 The second challenge before Hon Ogunwoolu is to be encouraged to give further reasons why despite such agreement reached and assented to by the political leaders of the two Provinces in his claims, candidates from Egba and Egbado still contested the election up to the second ballot at the then electoral college in 1979. We need to confirm from our self acclaimed historian why Chief Bisi Onabanjo went for second term in 1983 despite the decision of one term four (4) years at the imaginary political conference as purportedly agreed to by the leaders. All these will help the public to appreciate the principle of natural justice embodied in the declaration about the covenant of Governorship of Ogun State arising from an agreement claimed to have been duly signed by the founding fathers of Ogun State and the morality of its adoption in the present circumstance if those who assented to it then failed almost immediately to accept and abide with it in 1979 and 1983. If we turned to this declaration referred to by Hon Ogunwoolu and the eventual incidents about the contest of Governorship of Ogun state in the past and present, we will discover that his fallacious facts in the presentation were hideous, unreliable and therefore repugnant to democratic principle of equity, fairness and justice. I make bold to say having examined the real historical events about Ogun governorship race that Provincial argument of rotation was fictitious and false in the past, artificially bogus in the present and solemnly binds to be insincere and false till eternity. This account of the writer has exposed his rigidity of mind to tell a self serving story without caution. The real story must be told that while it could be said that Chief Onabanjo was truly an Ijebu man and by extension from Ijebu province, the constituents of that election were beyond Provincial arrangement. Secondly, that the emergence of Chief Bisi Onabanjo as the first Civilian Governor of Ogun State was made possible first through the personal efforts of the Late Sage, Chief Obafemi Awolowo, and also through leadership consultation beyond the whims and caprices of the Provincial fantasy as the likes of Oguwoolu want us to believe. 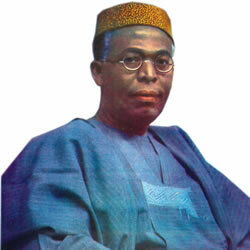 Femi Odugbose in his book, Olabisi Onabanjo : footprints of a Patriot acknowledged that “but for Awolowo , Onabanjo would not have aspired to the Governorship of Ogun State” It was clear that the most ranking political leader in Awolowo political family in the then UPN was Chief Jonathan Odebiyi having been Minister of Finance, leader of the Parliament and leader of Opposition in the old Western Region under the Action Group Party. He continued “You see, after much politicking and maneuvers, I got the nomination of my people- the Ijebu and Ijebu Remo Divisions. Egba presented Soji Odunjo. Egbado had two candidates: Teju Odebiyi from Egbado North and Tunji Otegbeye from Egbado South. When the Electoral College met in Abeokuta, the result of the first Ballot was: Soji Odunjo 20; Bisi Onabanjo 20; Tunji Otegbeye 4; and Teju Odebiyi 6. Second Ballot: Bisi Onabanjo 30; Soji Odunjo 20. That was my race to the Governorship of Ogun State”. In this narration, three issues came on. First was the fact that the 1979 election was contested and conducted on the basis of the four Divisions of Ogun State namely Ijebu Remo, Egba and Egbado. Chief Onabanjo attested to this in his narration thus “You see, after much politicking and maneuvers, I got the nomination of my people- the Ijebu and Ijebu Remo Divisions. Egba presented Soji Odunjo. Egbado had two candidates: Teju Odebiyi from Egbado North and Tunji Otegbeye from Egbado South”. From this, it was evident that Chief Onabanjo claimed to be a product of the two Divisions of Ijebu and Ijebu Remo and not necessarily a candidate of Ijebu Province since the Ijebu Province by definition was inclusive of Epe, Agbowa and Ikorodu then and now in the present Lagos State. Again it was very evident and quite instructive that the constitution of the Electoral College was not done on the basis of Provincial arrangement but rather on the basis of the four Divisions taking into consideration the number of local government to determine the delegates representation thus, Ijebu and Ijebu Remo Divisions were allotted 20 delegates, the Egba Division was allotted 20 delegates while the Egbado Division got 10 delegates. So we can ask Hon Ogunwoolu where he got his account of the Provincial arrangement he was quoting in his narration. The third issue was the alliance of the Ijebu / Ijebu Remo and the Egbado at the second Ballot which produced Chief Onabanjo as the winner and the fact that if it were to be the Provincial arrangement as claimed by Ogunwoolu it would have been a different ball game as the Abeokuta Province would have had the benefit of 30 delegates against the 20 delegates from Ijebu/Remo. And you know what that means. Another incoherence and misrepresentation of fact was in the account of the second tenure of Chief Bisi Onabanjo as enumerated by Hon Ogunwoolu in this jaundiced narration thus . 4. “1999 as a result of the return to Civil Rule, the Egbas re-approach the Ijebus that Osoba has just use 18 months out of 4 years hence, he should be allowed to complete the four years tenure of Abeokuta/Egba Province term. Hence, his returned for second term 1999 – 2003 with another Ijebu as Deputy Governor Alhaji Shefiu Adegbenga Kaka. Before he became power drunk and contested 2003 – 2007 Election against the wish of some of his followers and the Electorates” (Ogunwoolu). Hon Ogunwoolu is again being economical with the real truth of the matter. In the first place, his narrations most of the time tend to portray the fact that Political events in each of the election years he mentioned were only happening in one political platform. He sounded too categorical and most authoritative when he stated that “the Egbas re-approached the Ijebus that Osoba has just used 18 months out of 4 years hence; he should be allowed to complete the four years tenure of Abeokuta/Egba Province term”. He seems to have forgotten that “we” in political semantic has both connotative and denotative meaning which can only be used with evidence of records of proceedings leading to the decision being referred to. In this circumstance we need to ask who were the “Egbas” and the “Ijebus” in his reference here? Was he talking about the Egbas and Ijebus in Alliance for Democracy in 1999? Was he saying they connote or denote the Ijebu and Egba nations as a race representing the sections of the Stae? Is Hon Oguwoolu aware that in that election Chief Jubril Matins Kuye contested from PDP while the fact that he lost does not mean that Osoba was not challenged by a prominent Ijebu politician from another political platform in that election. Even in AD, where Governor Osoba emerged, our historian from the Oguwoolu political Academy should have told the entire world how the Ayepe primary was manipulated through the invasion of thugs to favour the emergence of Akinrogun Osoba. In his attempt to cover the revelation that the Remo Division of the State has also had a taste of the Governorship during the eight years of Otunba Gbenga Daniel, Ogunwoolu openly and mischievously showed his bias when he wrote “Otunba Gbenga Daniel emergence from Sagamu was as a result of his rejection from Omu-Eleni where he was brought up, hence Otunba Gbenga Daniel was from Ijebu Province and supported by the Abeokuta/Egba Province” Yoruba people will say, eni maa pegan ajanaku aso wipe eran koja, taaba rerin kaso wipe arerin, Saan lanrin aje ni nmu ni pekoro” (When people want to belittle the status of Elephant, they will say an animal just passed, if you saw elephant be bold to call it elephant, it is good to call a spade a spade). To the best knowledge of well spirited indigenes of Ogun, OGD was in the Government house for two terms of 4years each from Remo Division of Ogun State. Nobody can change that history. It is also true that OGD did not create the 4 divisions; he only made use of that existing administrative structure of the state with the acronym RIYE to promote the Gateway games and distribution of state resources for equity. The four Divisions were as old as the State itself. Hon Ogunwoolu needs to be more explicit on how Governor Amosun intends to cause confusion in the State. Is it through his party zoning of Governorship to Ogun West? How could anyone promoting justice, equity and fairness be said to be causing confusion? In this case, the likes of Ogunwoolu will need to define the true meaning of confusion when obviously it is his own action that is capable of brewing anarchy in the ever peaceful State. Again, what grounds are there for anyone to assume that a section of a State, which was part of its creation suddenly cease to exist simply because the people at a time voluntarily and collectively decided to change their name. Unknown to Ogunwoolu and many of his kinds, the constitutional change being anticipated was simply the change in the name of the two Local governments of Egbado South and Egbado North to Yewa South and Yewa North respectively as contained in First Schedule Part 1 section 3 of the Constitution. Let me unequivocally state it here that the people of Yewaland do not require any Constitutional amendment to determine their identity, it is their natural right. It was mischievous on the part of Ogunwoolu not to recognize the self declaration right of the people and the subsequent recognition and publication in Ogun State of Nigeria Gazette no 51 vol 22 of 18th December 1997 page 109 to that effect. His comment that “Let me therefore advise those clamouring that it is the turn of YEWA to: Make sure Yewa is recognized in the 5th Schedule of 1999 Constitution as we only have Egbado North and Egbado South Local Government in Ogun State” Let me point out that the self celebrated custodian of the archive of Pa L.A.K Ogunwoolu did not even know which schedule of the constitution to be amended as the 5th Schedule he referred to in the 1999 constitution only talks about the Code of Conduct for Public Officers. His declaration here showed his complete hatred, lack of knowledge and inconsistency with the fact that Ogun West Senatorial District has five local government areas and that Yewa North and Yewa south are just two out of the five local government areas. When everything has been said ,it remains true to maintain that Ogun west which is one third section of the State and the only Senatorial district that is yet to produce Governor since the creation of the State should be favoured at next election. We thank the APC for showing proper understanding and good direction in this regard. We therefore urge other political parties in the State to follow the good example of the APC by zoning the Governorship to the area in their best interest and in the spirit of democratic principle of fairness and equity. We implore the good people of Ogun State to discountenance the ill-informed and satanic writings of agents of misinformation represented by the likes of Ogunwoolu whose real object was to create stories that will acquire power for their political clans without consideration for principle of social justice and change.